I actually bought this a year ago and I'm only doing a post on it now. Yikes! Well, this is what I've been wearing this week and as the name suggests, it's black and it's matte. Actually, it's not that super matte. 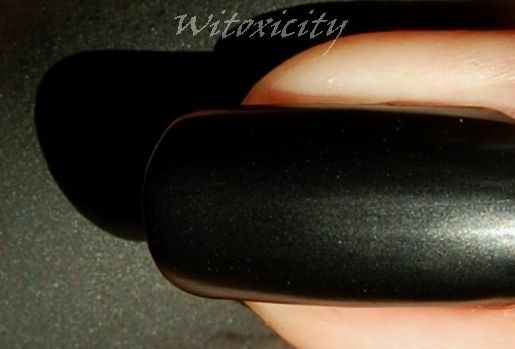 Like the one other matte polish from KOH, Flamingo, the finish looks like a rubbery surface. 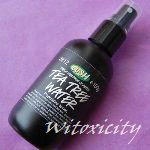 The formula was thick but it applied nicely. It does need a minimum of two coats though to achieve evenness. With mattes, any unevenness in coating would show through when they dry. I have two coats on here. 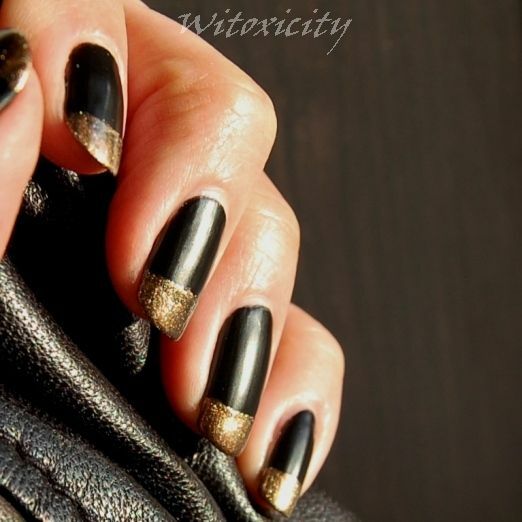 I suppose some of you would find black nail polish a bore, let alone a black that is matte. Even though I like it as it is (I have a dark soul, remember? ), I couldn't resist spicing it up. So, I borrowed the idea from KOH themselves. They had a box set of three KOH products and on the packaging, there was a nail picture with a French manicure. The box was called KOH Complex (image right, taken when I visited the KOH store a couple of months ago) and it contained KOH Black Matt, KOH China and KOH Top Coat Bamboo. So, this is what I've done. I haven't got the gold of KOH China but I do have KOH Bronzation which I bought recently. I free-handed the thick line. It's not quite the classic French manicure style as the line is straight. It adds more bling this way, no? Anyway, in case anyone's wondering, KOH Bronzation will be featured on its own later. I think the black looks awesome! Oh, black nail polish is never ever a bore. This one especially looks very classy. The rubbery feel fits your superb nails greatly. Yikes indeed, coz I looooove it!! Awesome mani and photos. i have always loved black nail color..sported it right throughout my college days..
Really liked the little bling factor you added to black! Its a very special black for sure! Black and gold. I love that combo! gorgeous as always! Loved how you paired the back with gold - very early 90's! 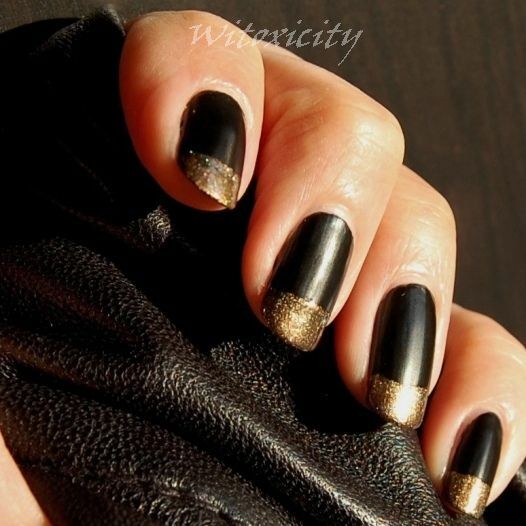 I think that is the most gorgeous black nail polish I have ever seen. It's not completely matte which is lovely~ I'm all too used to seeing really shiny black nail polish which doesn't look too great to me. 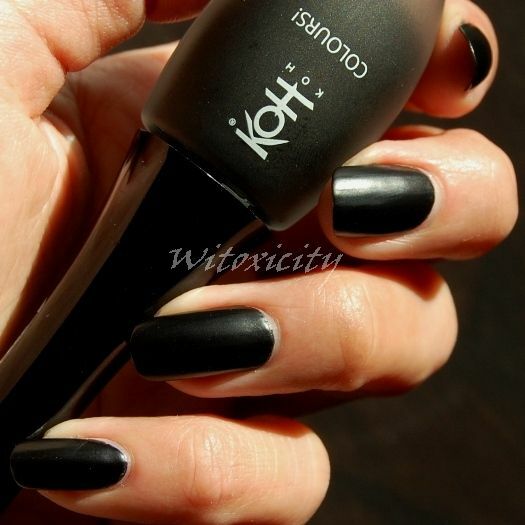 This KOH black polish however, looks divine.